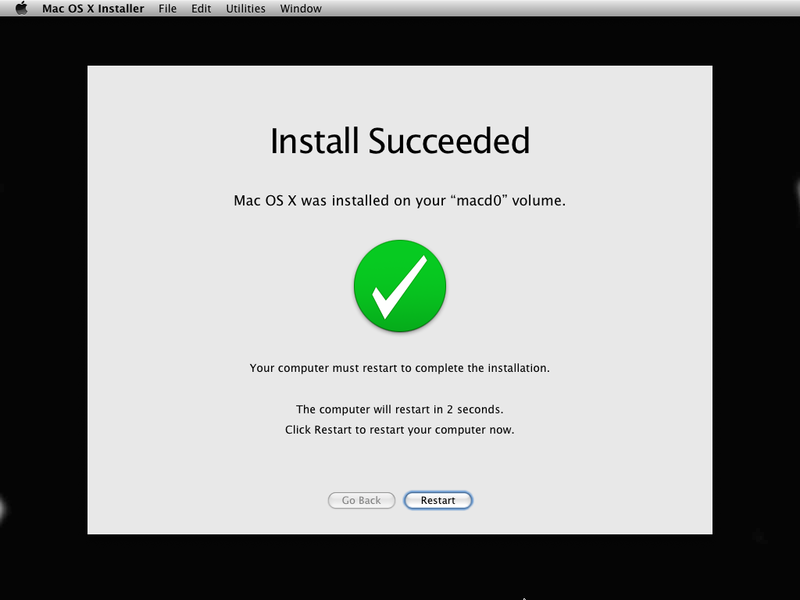 Setup of mac is quit difficult to install on different machine other than apple machine. Depending on your machine configuration some of your application may not work, most probably application of video and sound. 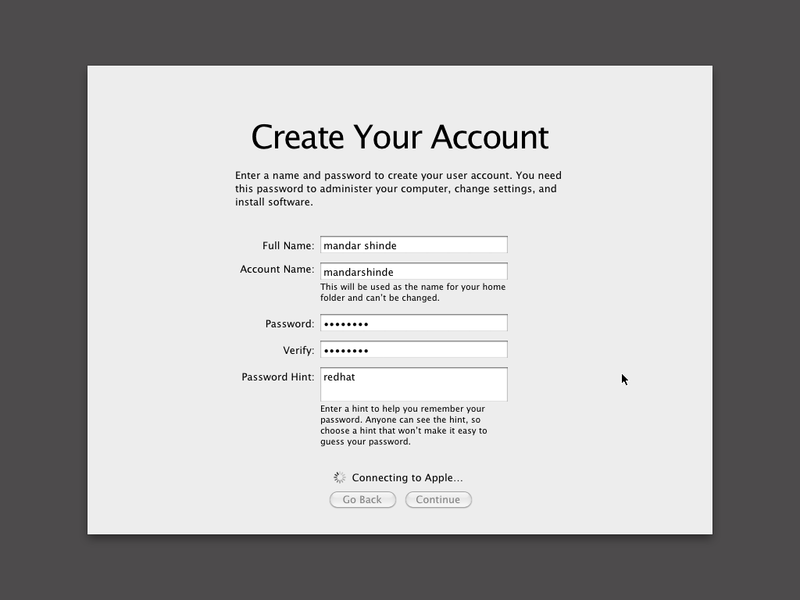 Can You Install Mac OS X on Your PC? 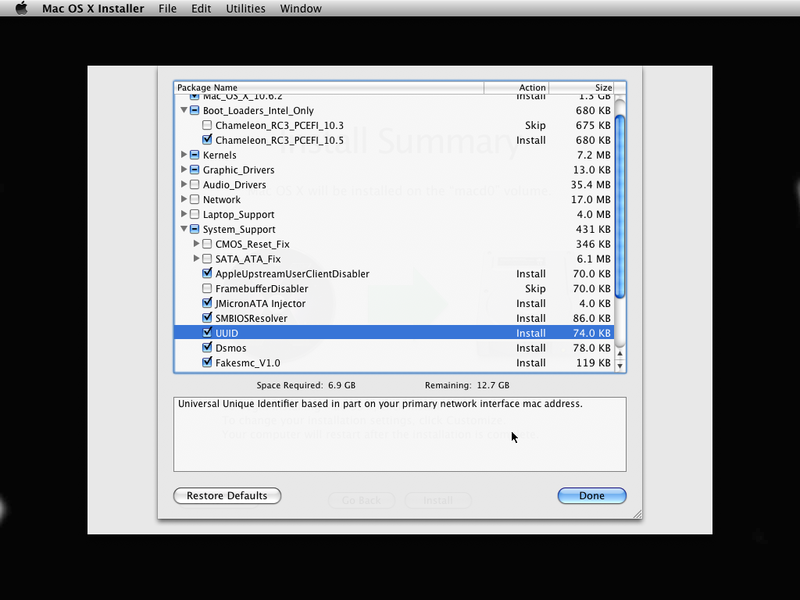 You need to check your machine hardware compatibility of MAC OS X installation. Mac OS X image you can get. 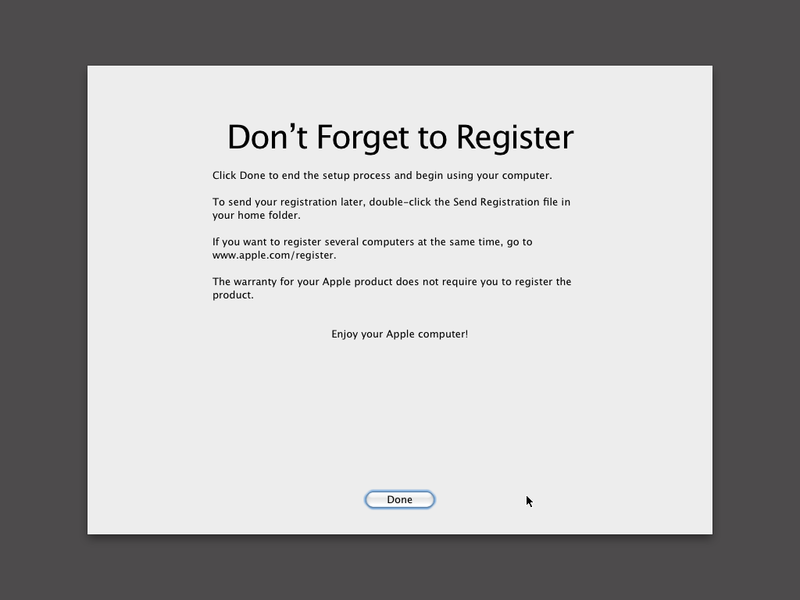 This entry was posted in Mac and tagged installation, Mac. Bookmark the permalink. i think you might be stuck up at voiceover command with blank screen with audio playing at background. you just have to keep trying to get best configuration which is suitable for your machine. So I Reinstalled Windows on my laptop cus i was getting frustrated. but i can try and reinstall it again on a different partition. and keep windows right? 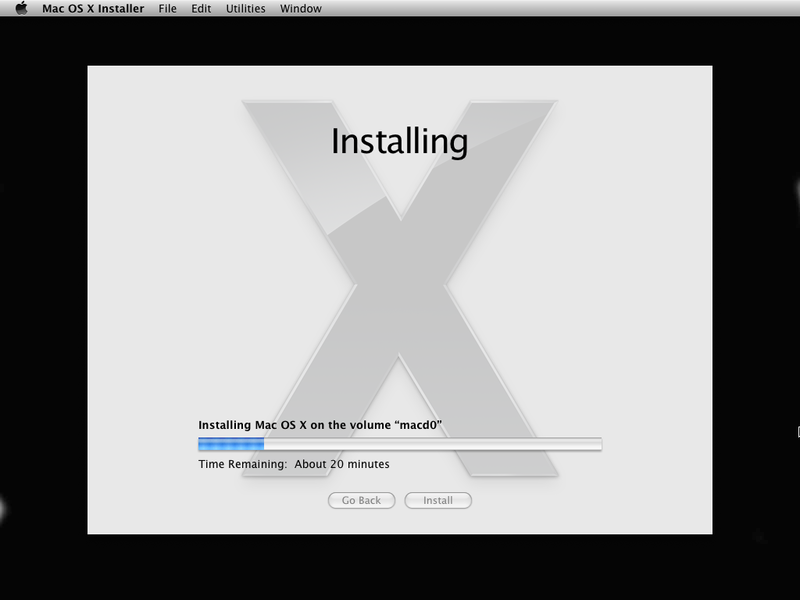 cus i dont wanna go through installing it again unless snow leopard will indeed work for me. 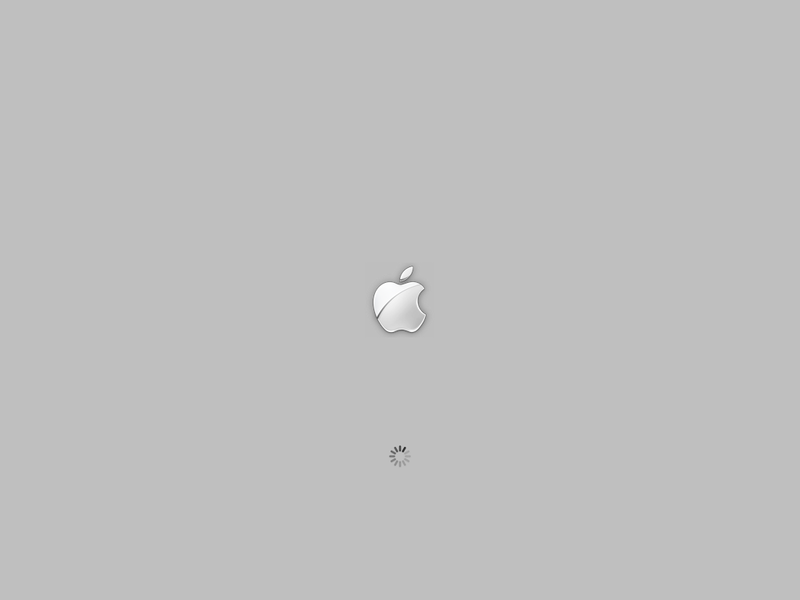 I know when it successfully installed that when i clicked on it after restart, that it would show the apple screeen real quick and then reboot. your customize screen has different options then mine because you used Hazard. but my configuration is. In addition to my specs that i just gave you. i downloaded the Hazard Disc that you used so when you give me the custom settings, i will have the same screen as you. thanks for your time man, i really appreciate it. 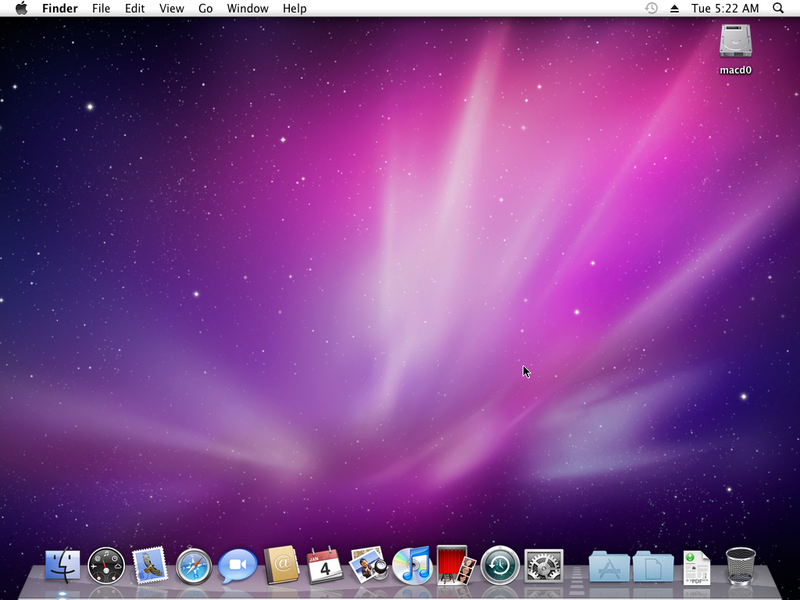 I have windows 7 up on it right now, and i partitioned my hard drive to leave 200 GB of space for snow leopard. hope you can make this work. Also is it possible to update to 10.6.6 once you install this version? how do i get past this screen. i tried typing in the other thing you said to also. no luck though. after letting the Darwin/x86 loading screen go, a error message came up saying. alrighty so now i reburned the disc and the Hazard disc does work. but i get stuck at the gray apple screen.  the circular loading image never appears for some reason. where do i go from here. here are two screens i get with the hazard disk. can you tell me what to check off? sorry agian for ALL The comments, haha. but i keep making more and more progress. 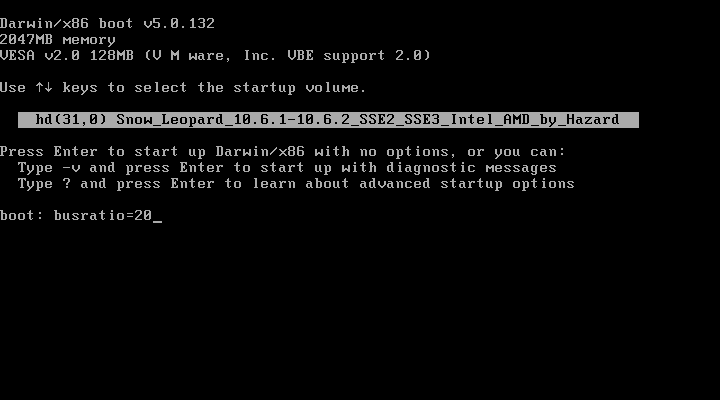 what it comes down to now is the fact that, i get it to install succesffully and even start booting up after install. but then my whole computer shuts off completely. it says it fails to load ATI HD 4500 controller. i dont know what to select from iATKOS for that controller. there really wasnt a good option for it. alright hazard is working now that i disabled the USB and WLAN…after its installed, can i enable them again so i can use them? So i just finished installing it for the second time, the hazard edition, and when i boot up and just click Snow Leopard partition, it restarts my computer. when i type in busratio=22 it starts the computer, gets to the apple screen and then shuts off my computer. when i do a verbose boot, whatever happens last happens too fast and i cant see what the issue is. i know it said firewire disabled but phoenix BIOS doesnt have a firewire selection in the BIOS. -x doesnt work either. here ya go. i took a video and have a few images from it to show you my screen. you should be able to tell me my problem now that you see this. here is the video and two images. here is my final problem it looks like. My computer keeps shutting off after successful installation of Hazard. IT WORKS! i just typed in busratio=22 maxmem=4096 with the settings above and it worked! I can not get my wireless to work at all. Is it possible to install SL using the retail DVD ? yes sure you can use retail version but you will need kexts matching to your machine. with core 2 duo T6500 2.1ghz , 3GB of ram and ATI Radeon 4500 HD 256mb will this config work ? At your given configuration mac 10.6.6 may probably work if it doesn’t try older version of mac and then try to upgrade it. according to your query i think you have completed your installation and when it reboots it stuck up. I have dell studio 1555, i have successfully installed sl 10.6.6i hazard but i am facing some issues my dvd drive is shown in the profiler in Serial ATA devices but it is not working rw both, and when i do restart from sl dvd drive doest not shows up in the OS neither in windows nor in sl. SATA mode is set AHCI in bios, which kext or patch is needed to set the sata dvd to work properly? 2. you said its not working in windows too , so i think you got problem in your drive, check your data cable’s , jumper setting.. I have noticed one thing that if dvd or cd is present in slot load dvd drive it shows up properly in sl but if it is empty then sl is unable to find any disc burning device. Could anything be done to solve this issue. on my dell studio 1558 (6gb ram, i7 processor, ati videocard hd 5XXX, 1080P screen). I’m dualbooting the osx next to windows 7, in another partition. i cant make out with that as far as you get the trace. try installing again and only with legacy packages, if you have installed packages according to your configuration the arguments work. you might be having some problem of incompatible packages. FYI – I installed iAtkos V3 S2 originally. everything works fine except keyboard & track pad, external mouse works fine. got keyboard & trackpad back with mutibeast-> Drivers & Bootloaders -> Kexts & Enablers -> Misc -> Voodoo PS/2 controller & Voodoo PS/2 Trackpad. Audio works but not full HD. I think these instructions are really good, well done. I am going to try this out. I have exactly the same computer as you but i have an i7 processor and a 1gb ATI 4570. I was just wondering if i would have to choose different setting in customize on instillation, and also how i would update to 10.6.7? most probably same configuration will work. You may need some small modification according to your cpu. Well if want to upgrade Mac to 10.6.7 i would suggest you to install newer version of copy. I tried installing with the steps you mentioned, but i am having problem in the 3rd step. Even after entering the busratio=25(i have i7 Q 740) or busratio=25 –v memsize=4096 cpus=1..my screen sticks at the apple logo screen and stops there for say about 20-25 mins and then the system is turned off…i an using the same hazard copy you are using in the instructions. I have also tried busratio=17 but same is happening. In bios i enabled the virtualization(VT) and disabled the usb emulation and lan and then tried installing…but this time in my 1 st attempt i entered “busratio=25” and the installation began i ticked the legacy kernel 10.2, graphicsenabler, chameleon rc3, System support(same as ticked in the method u demonstrated above), laptop support(Whole) and sound(whole)..the installation was successful but on startup it gave a blackscreen kernel panic same as u have shown in the method..then i tried with -v this time i got error white screen with apple logo(the one shown above)..what should i do now..is there any other apple mac image which can be installed or what should i do now.. If possible can you plz tell me which option to tick in the customize option. you have to trace the error you are getting and make some minor changes during installation. can you get the error at which process stops? 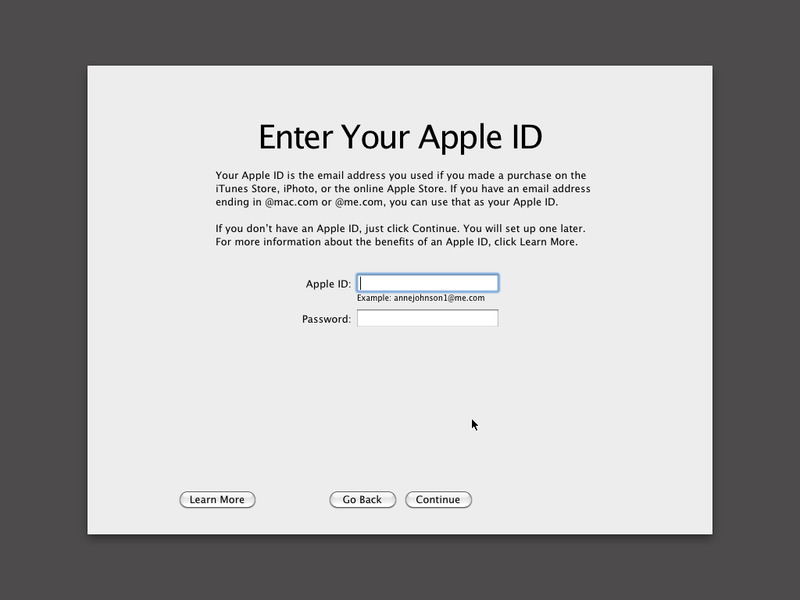 you can try newer version of Mac if you want. Can you tell me which kernel should i use or should i leave it blank…and if to choose the graphic enabler or not..
hi mardar…I already installed Iatkos v3 v2 in my dell studio 1555. during installation process it says that i was successfully installed but i was stuck up at voiceover command with blank screen with audio playing at background…ive already trying for 3 weeks still the same.could please give me some tips ive tried different options but still no luck…your help much appreciated.thanks!! 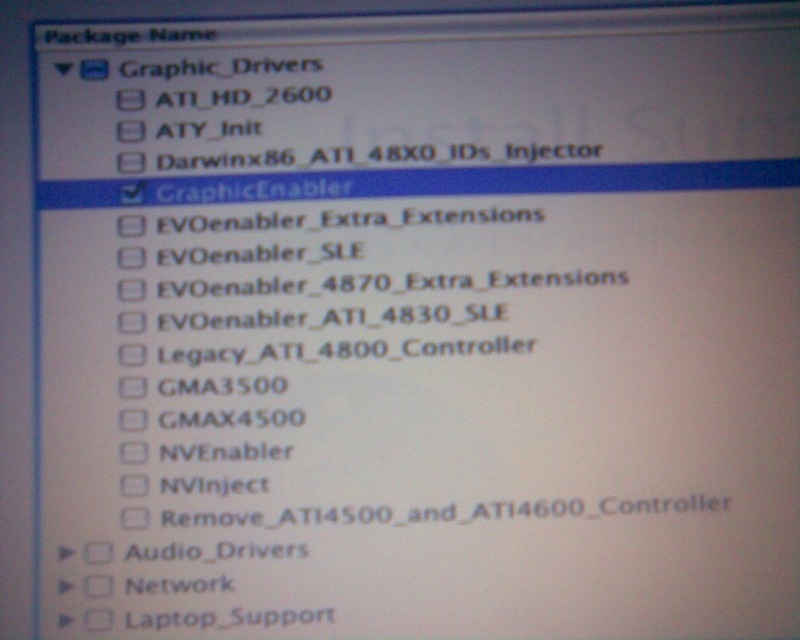 or reinstall the system with checking GraphicEnabler from the list also select ATI drivers for 4000 series. Thanks for the reply brother! 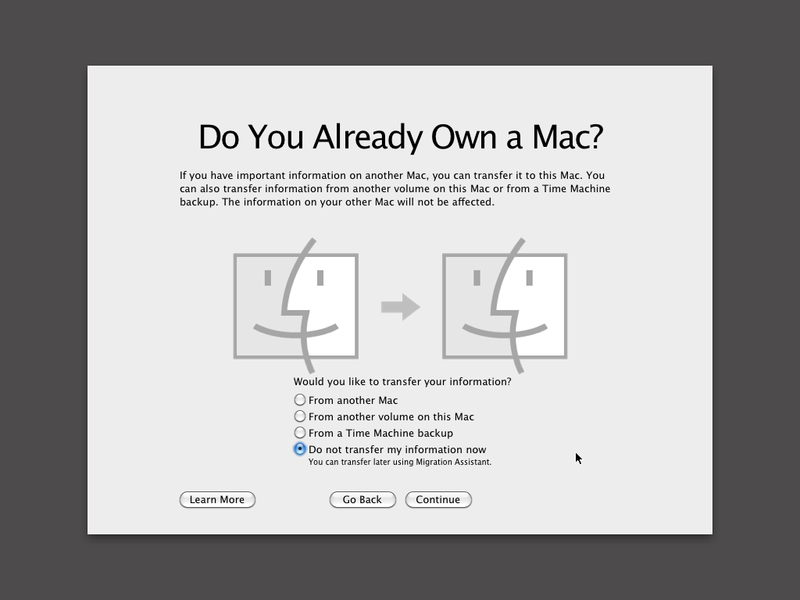 i was able to install the OSX but after the installation when i’m setting up the mac it now gets stuck when i click on next on the “Do you already own a mac” Screen cud you please tell me what i can do now? some of them have tried with disabling network and booting in low graphic mode. hello!,I really like your writing so a lot! proportion we keep up a correspondence more approximately your post on AOL? I need a specialist on this area to resolve my problem. May be that’s you! Having a look ahead to peer you. most probably your problem looks like because you have mentioned you have completed your installation. well the error may be different from image. If possible try to get the last error statement before it reboots. if you have tried installing Mac OS X10.6 on different partition other than windows partition you just have to fix your boot loader from command prompt or running repair option from windows installation CD and if windows installation partitioned drive was deleted you have to install windows to new partition. I hope you have done Mac OS installation on different partition. 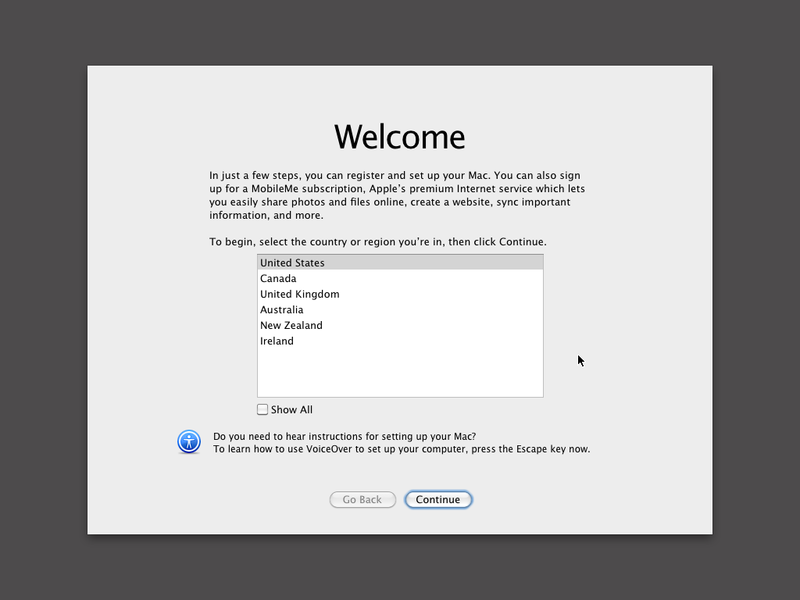 Try installing latest Mac OS image which will provide more stable driver for new hardware. 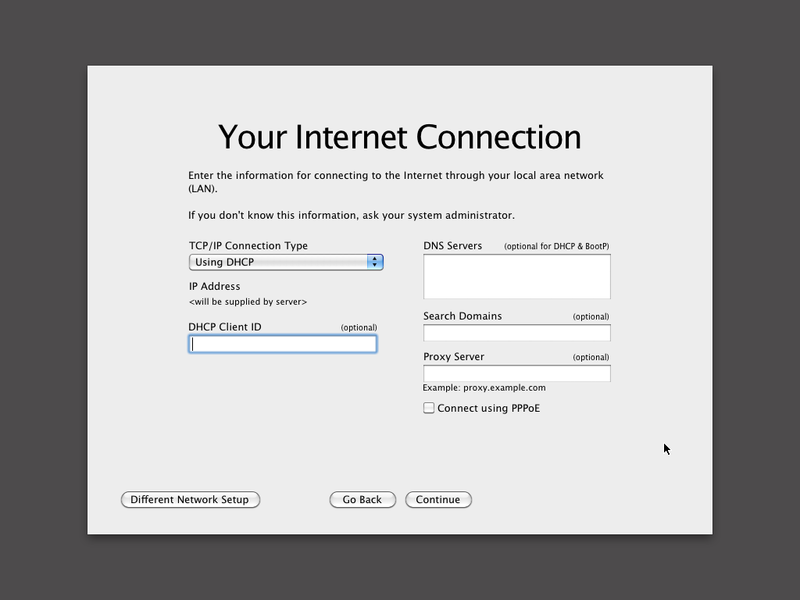 Waiting for boot volume with uuid……..
while installing the mac 10.6.2 there is error i got on my dell studio 1558. Extension “com.apple.driver.ACPI_SMC_PlatformPlugin” has immediate dependencies on both com.apple.kernel and com.apple.kpi components; use only one style. I really want to be able to dual boot Mac OS X and Windows 7 so please help! I am trying to install iATKOS SS3 version 2 on my Dell Studio 1555. I am stuck on what to choose for the items in the customize button just prior to installing OSX. Using some random options I can get the installation to complete and then when I reboot i hear a knockoff version of “stay in the light” and some instrumentals playing. 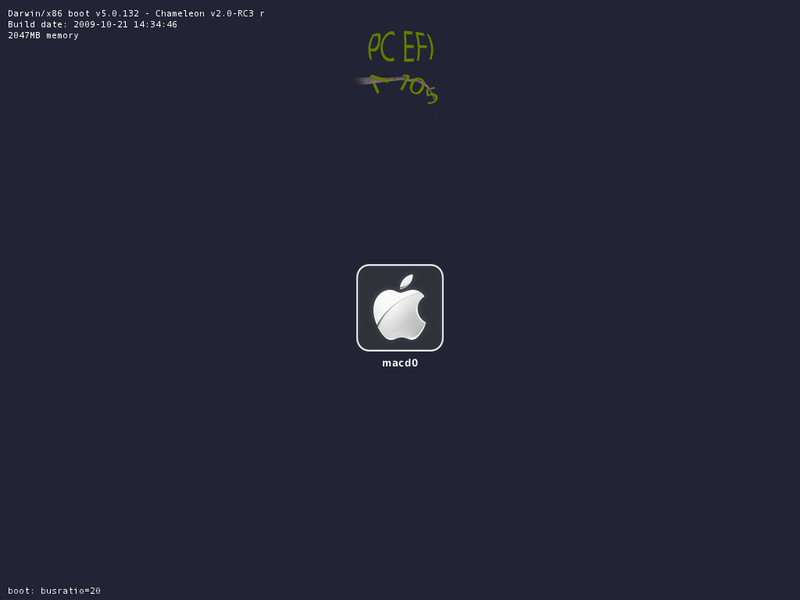 This is the closest I am able to get mac working. 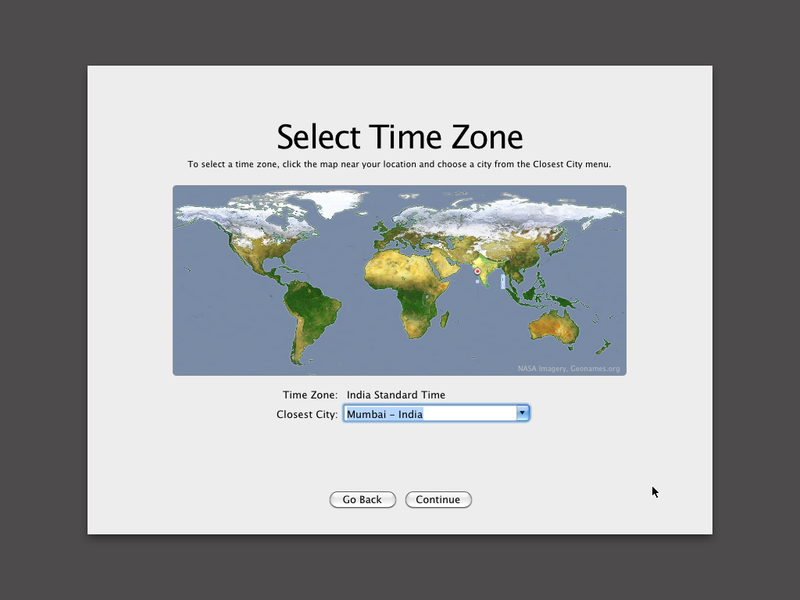 Today I’m using the retail DVD of Snow leopard instead of iATKOS. I got the installation finished using the Retail DVD and iBoot. But after installation, when I put iBoot back in my DVD drive and boot up the new installed mac OS, all I see is the gray background and even darker apple logo in the center. I cannot get past this screen. Also, I downloaded the retail version from pirate bay. 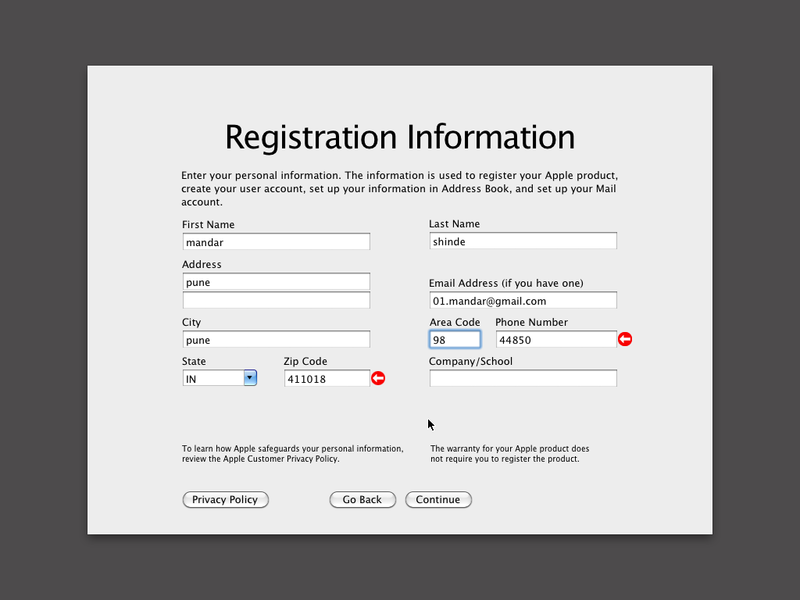 It is not the hard-copy from Apple retail stores. Does it make any difference whatsoever if it would give the same error ? 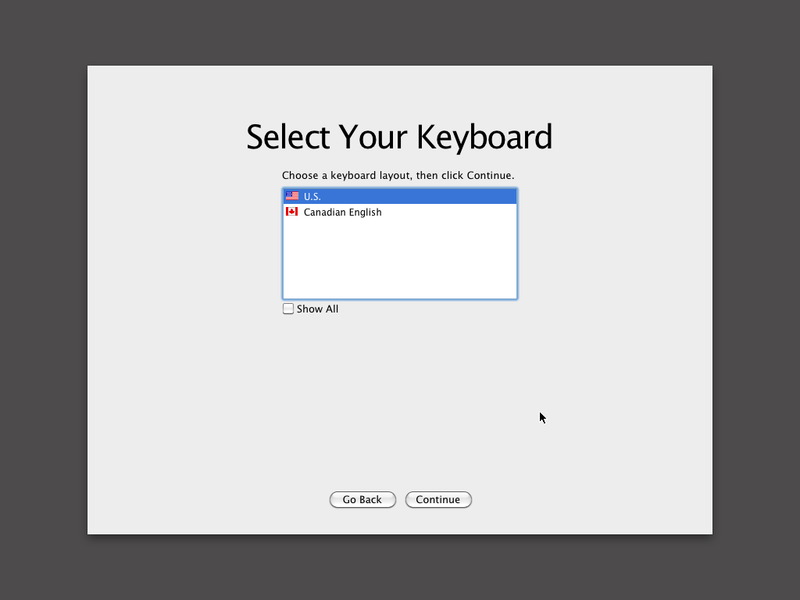 I’ve installed the mac on my ThinkPad as per your instructions successfully. 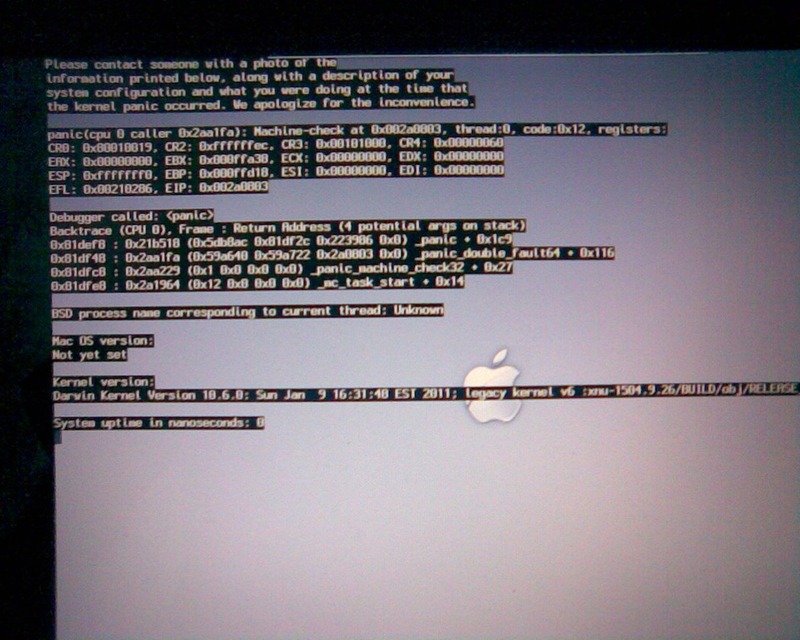 But when i boot into it, a panic error occurs namely kernel trap. what should i do now? I’m french and I saw your discussion about hackintosh on dell with ATI video. I succeed to install mac os x lion (iatkos) on my Dell Studio 1558 i5 everything is working fine except my ATI Radeon Mobility HD 4570. I can only boot with Aty init, graphic enabler doesn’t work. I used Chimera also to install. I tried to change Kext Ati 2000 (I read that on another website) by the graphic device id in my computer. If someone has got an idea? The only video settings I can see it’s: Graphisme Moniteur 3 MB. 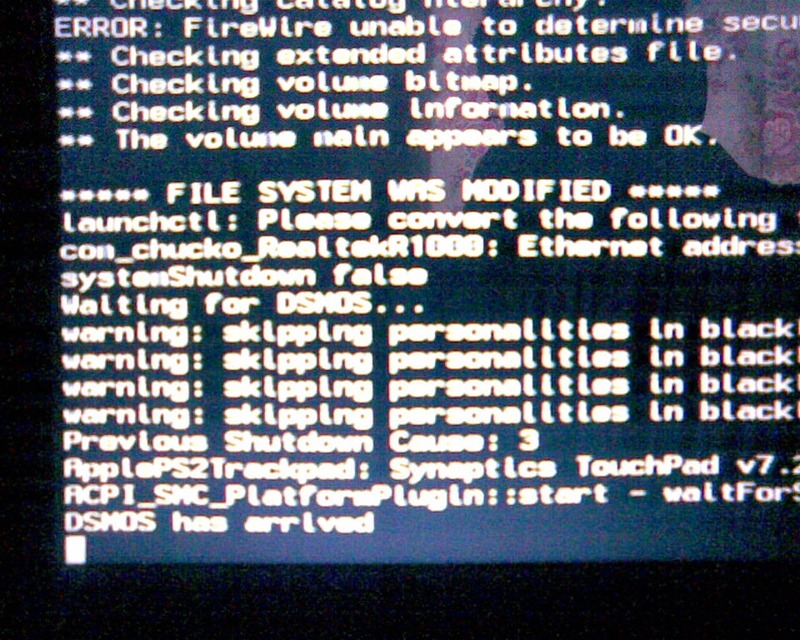 I’d like to mention also that when I tried to install software like protools, garageband, when I reboot the system, it crash the system with panic Kernel about CPU, is it normal, on hackintosh we cannot install programs? Good to hear that you have succeed in iaktos installation. Eric if any PC/Laptop system says Graphics memory is less than 16 MB. It is for sure that Graphics Card is not detected (mostly in Desktop) or Graphics Card driver not found. Try to update kext to ATI Series 4000 sometime ATI Series 5000 may also work. Most of the time software gets install without any problem. hi bro Thanks to the explanation I have a problem after the completion of the installation comes when drawing the apple (and re-operation) Is there a solution?? 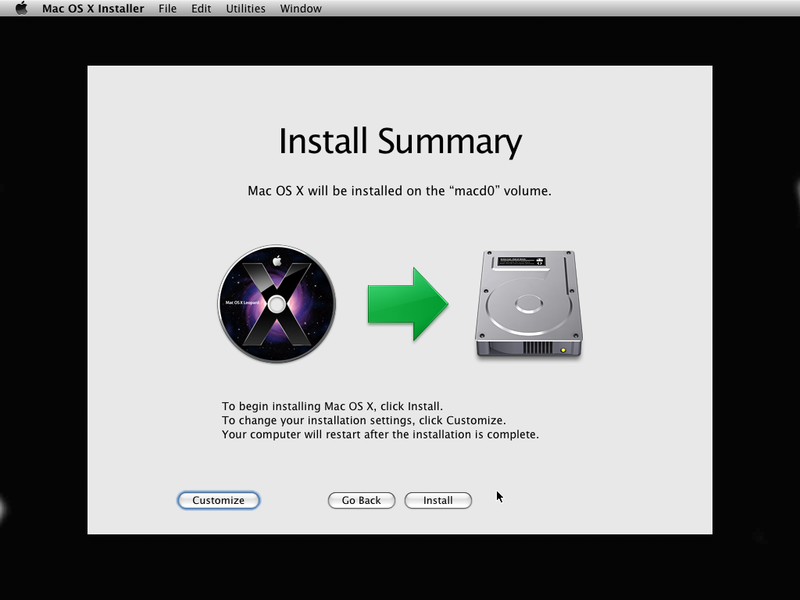 can i use the original mac instalation dvd?